Yes - I have mentioned this jacket before, but I love it. When my Olympus E-PL7 arrived I knew I wanted to feature this jacket right away. 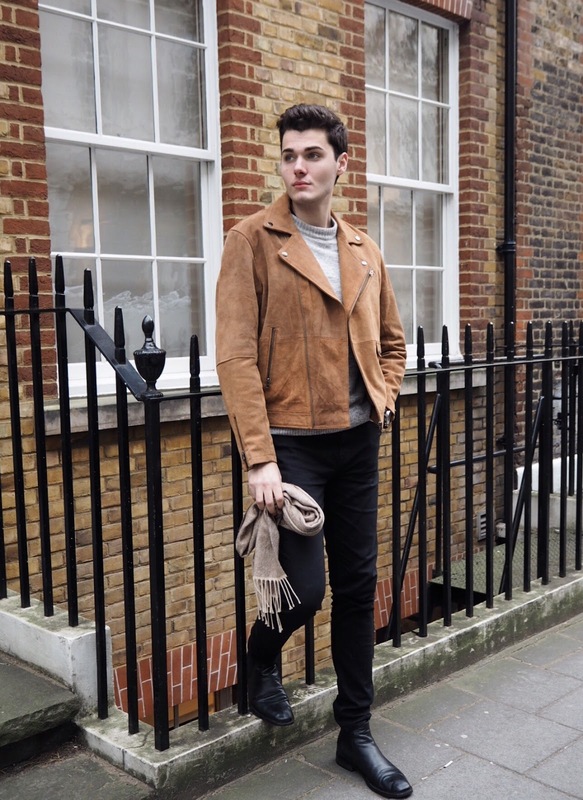 With the weather in that odd in between winter and spring stages, this outfit was both practical and easy to throw on for a day on Oxford Street. 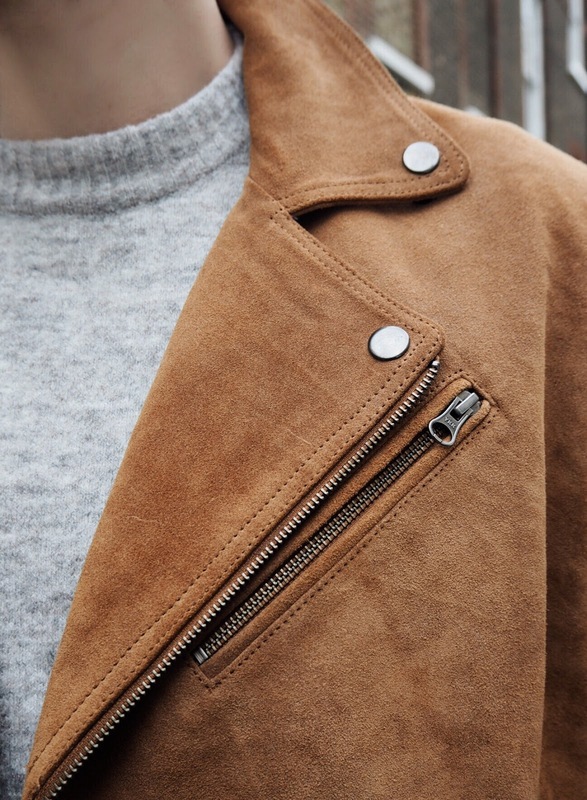 It's a good neutral colour palette with a pop of colour from the tan which is a great alternative for those of you who stick to black most of the time. I like the contrast in texture as well - with the knitted jumper and scarf against the metal detailing on the jacket. The jumper from H&M is so soft and has a great shape. I really enjoy the slightly higher neckline and its natural oversized fit. For me, being a tall guy, I always appreciate when jumpers are meant to fit on the larger side as it offers more length on the sleeve without compromising the fit of the body. 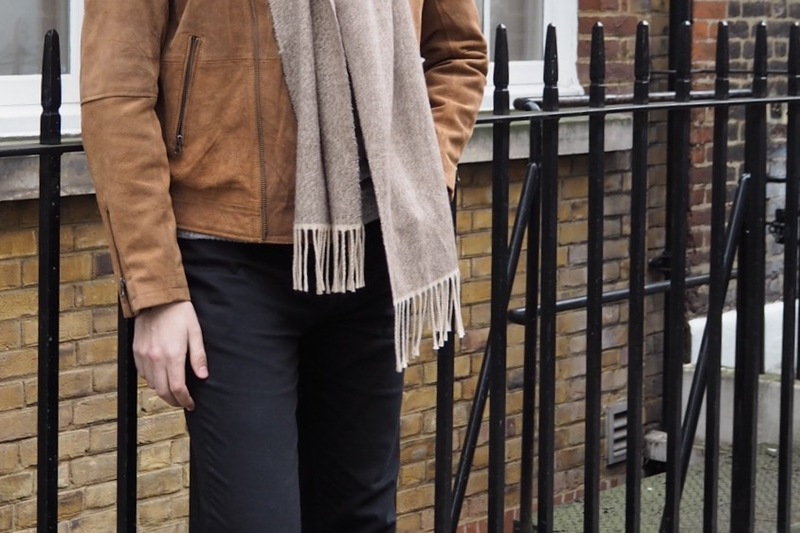 The scarf from Topman is a camel/brown herringbone knit. It isn't a bad price either and has matched most jackets I've worn it with so far. It's definitely one of those accessories that'll see me into Spring and be dug out every year. When it comes to shoes, I try to find pairs that'll last the test of time. I hate it when I buy a new pair and three months later, they're ruined. 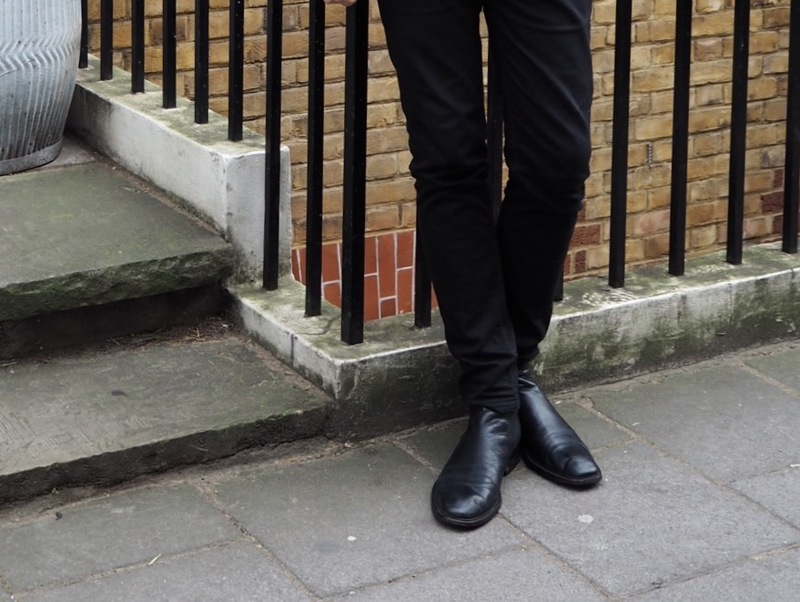 These black chelsea boots from M&S are about four years old and still look amazing! For me, I wanted to feel comfortable, be able to keep warm and have the chance to remove a few layers if the sun came out. I guess you could substitute the pieces I wore for other colours, but I love the effortless style this combination gives off. It also unintentionally matched the backdrop of this side street and my new camera.